The genre of dungeon synth has been steadily increasing in popularity over the last year or two. What started out in the early-mid 90s particularly with Mortiis, as well as a few other artists, many of whom came from the black metal scene, has in these recent years blossomed into a full-blown genre with a number of record labels dedicated to the style and many more solo artists self-releasing troves of lo-fi albums. From a listener’s perspective, entry to this genre at the moment can be quite dizzying and there have been more than a few articles from Bandcamp Daily, among others, that seek to give listeners an introduction to the genre. As my interest in the genre has increased, I’ve found that the Deivlforst Records label stands out above the rest. The releases often come with limited edition physical media, cassettes and high quality digi-paks have been the norm, but they have recently delved into the vinyl format on their re-issue of Taur-nu-Fuin, also by Thangorodrim, which released simultaneously with this new album Gil-Estel. Thangorodrim has been hailed as the best dungeon synth artist since Mortiis by more than a few fans and critics of the genre. I won’t make any definitive statement about this, but I can say that I enjoy his music as much as, if not more than, most other dungeon synth projects I’ve heard. I was quick to purchase a copy of that first vinyl, which I assume will sell out reasonably fast, even with it being released in an edition of 300 copies. 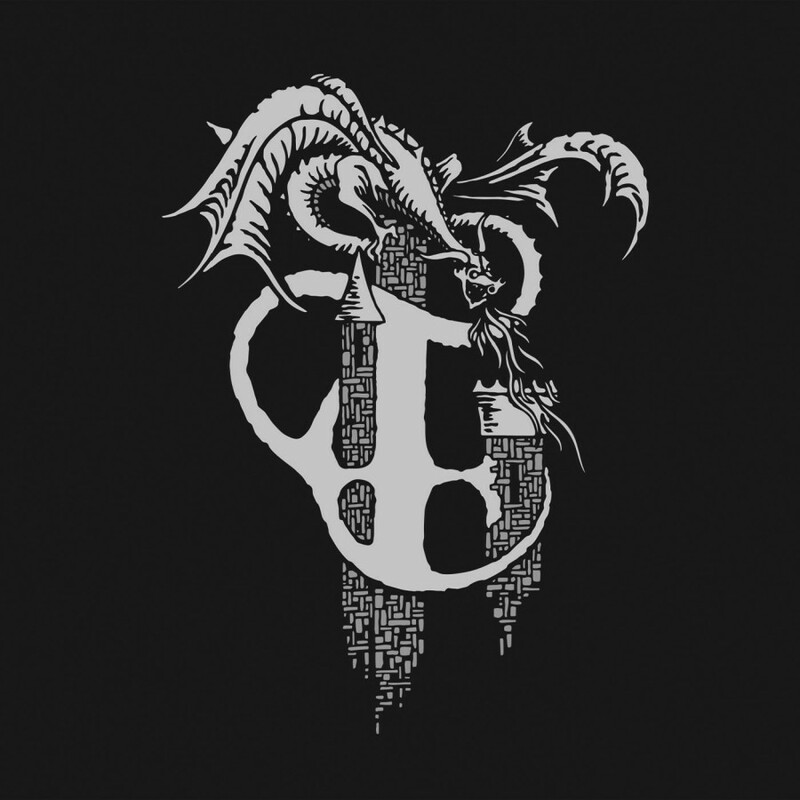 Gil-Estel is the fourth release by Thangorodrim since he entered the scene in 2016, and it is his second on Deivlforst Records. On all these releases Thangorodrim has strictly created music inspired by the lore of J.R.R. Tolkien. Each album has focused on a different topic, they are not to be seen as a succession of storyline, running continually from album to album. I will focus in this review only on the two recent releases on Deivlforst, because they are the two full-length releases. It seems worthwhile to cover a bit of Taur-nu-Fuin as it has just seen its vinyl release on the same day as the release of this new album Gil-Estel. In the lore of J.R.R. Tolkien, Taur-nu-Fuin, a forest in Northern Dorthonion (or the whole of Dorthonion) was a dark and haunted place. It had been filled with horror after the defeated Sauron turned into a vampire and fled to these woods. For this reason, logically, the album Tuar-nu-Fuin had a significantly darker and more gloomy feel than Gil-Estel. The main exception to this being the final track, “Gwindor’s Rest” which had a greater sense of discovery and hope, due to the story surrounding Beleg meeting Gwindor who would help him to find Túrin. The music of Taur-nu-Fuin can be at times gloomy and atmospheric, at other times it can show the signs of conflict and adventure. Within the confines of dungeon synth, the album uses a decent variation of instrumentation from various synths to emulations of flutes, distant choral vocals and various types of drums. Gil-Estel, in general, has a much more up-beat sound than Taur-nu-Fuin. There is often a sinister vibe to the music, but it rarely touches on those gloomy atmospherics that often arose throughout Taur-nu-Fuin. Considering the subject matter, this makes perfect sense, as Gil-Estel represents epic battles, the death of an enormous dragon and a journey on a marvelously crafted ship. “Into the Great Battle” unsurprisingly drops us right into the midst of an epic battle, with sounds representing all the guts and glory to be expected within such a foray on Middle Earth. “Ancalagon” is one of the darker songs on the album. The track is named after one of the largest dragons to ever live on Middle Earth. We hear field recordings of winds rushing passed our ears as the great dragon soars through the skies. The final track of the album, “Thangorodrim’s Ruin” depicts the clashing of Ancalagon with Eärendil, who manages to defeat the dragon, casting him down upon the volcanic mountains, named Thangorodrim, totally destroying them in the process. I have little knowledge of the lore of J.R.R. Tolkien, though I have read The Hobbit and The Children of Húrin and have always had a deep appreciation for Tolkien’s world and mythos building. I have really enjoyed the music of Thangorodrim, even though I knew nothing about the connections to various aspects of Tolkien’s lore. For those well-versed in this mythos I imagine the connections made by Thangorodrim will bring an even greater appreciation for his music. But, they are not necessary to find enjoyment here.